From it’s fashion week to its famous frocked celebrities, London has always been one of the pinnacles of culture. 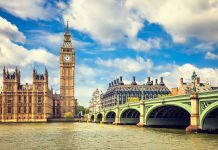 Throughout the centuries London has been the go to for European and world fashion, many celebrities and cultural icons coming to the city for little more than to do a bit of shopping. It’s no surprise, with it’s history of haberdasheries and the arts, it’d be surprising if fashion and clothing wasn’t inspired by the centuries of culture layered in the city streets. With museums dedicated to the world of fashion, alongside modern art museums across the city showcasing fashion as a form of self expression, it’s no surprise that Blue Badge holders are now doing fashion tours all across the city. If you are guest at the Shaftesbury Suites London Marble Arch, then why not take a trip into the glitzy world of London fashion. What are blue badge tours? Blue Badge tours are a company made up of a wide range of tours across the city. Run by historians and professionals in the given tour subject, Blue Badge cater to a wide range of different themes, giving you a wide array of topics to explore through the city of London. Whatever your interests, there’ll be a Blue Badge tour catered to you. Fashion tours are available upon request, and take you through some of the highlights of London. Whether you are interested in textile and design history, or you want to find the next hot spots for boutique shopping, the below spots are key to understanding the London fashion world. Dating back to the 17th century, Carnaby Street has become one of the best streets in the city for boutique fashion. Home to the style of the swinging 60’s, Carnaby Street in West London has retained its charm and is now home to many boutique fashion shops. This is one for a true “dedicated follower of fashion”. Based on Mayfair, this is one of the most famous streets for suit shopping in the world. Tended to by some of the best tailors in the world, these shops are responsible for some of the most famous suits in history, and is still going strong after centuries in the business. The Victoria and Albert Museum is the London home to international design and textiles. Here you will find a wide range of world class decorative arts, including exhibits exploring the world of fashion icons such as Christian Dior. This South Kensington museum is ideally located for those taking advantage of the Shaftesbury Hotel special offers, being located just off of Hyde Park. The East End of London is home to the beating boutique hearts of contemporary London. With Brick Lane offering more than curry houses and bagel shops, it also hosts some of the best fashion designers in the world, all at cut throat prices. With Broadway Market in London Fields bringing some of the best vintage garments, you’ll be hard pressed to finder a hipper London district for a seminal feast for fashionistas. What’s more, these areas are often hold some of the best value shops for fashion, bringing vintage and second hand clothes to the public at great prices, innovating old styles into something truly modern.